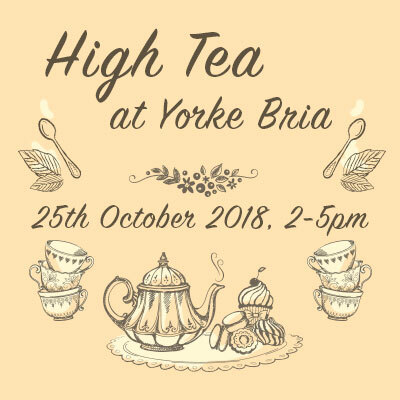 Sunday 25th November 2- 5pm in the beautiful gardens of York Bria, 94 Tanahmerah Road, Balhannah. H.R.M Queen of Hearts commands you to attend her Mad Hatters Tea Party! 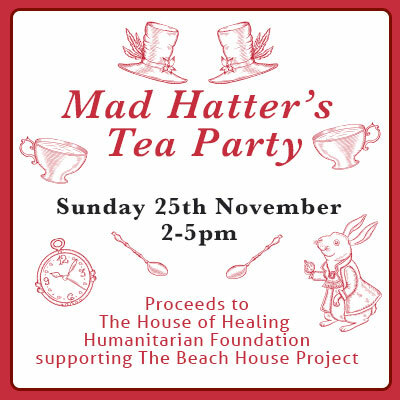 Guests will include: Alice, White Rabbit, Mad Hatter and Dormouse. Prizes for best hat and costume. Live Entertainment - Booking Essential! Tickets include Afternoon Tea and complementary Bent Creek Wine or Adelady Sparkling on arrival. in the beautiful gardens of York Bria, 94 Tanahmerah Road, Balhannah.